If you love to cook, then you probably hate to waste food. It grates on you. If you don't enjoy cooking, then wasting food may seem like an inevitable nuisance that tempts you to hang up your apron for good. 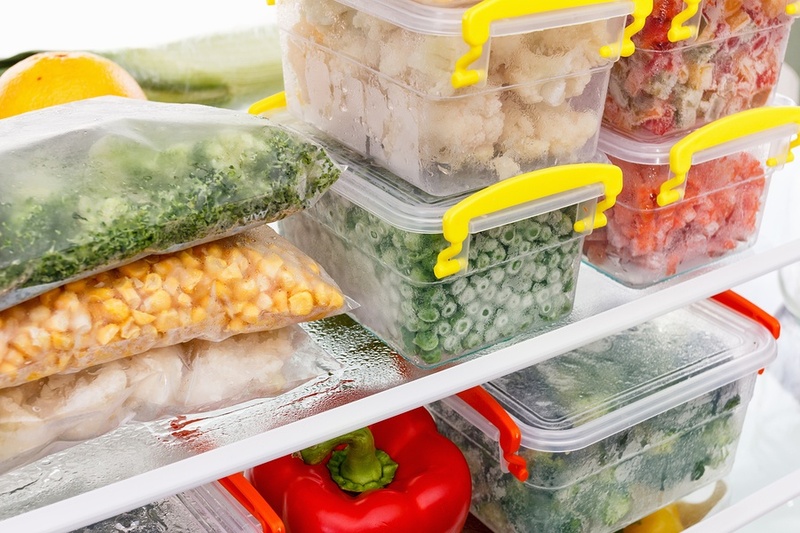 Here are seven of the best organizing practices to reduce food waste and ensure you make the most of the food you buy, stretching your food budget like the most pliable mound of focaccia dough. A menu will keep you on-task and prevent last-minute dashes to the grocery store, when you're apt to grab unnecessary items in a rushed state. A menu can reduce food waste right from the start by providing a springboard for a shopping list. You'll buy the items you need and prepare the meals that conform to your plan. You may use them; but then, you may not. Your food dollars won't go to waste when you eyeball remnants of that roasted chicken for a chopped chicken salad or slice up those grilled steaks for steak fajitas. With a strategy, you'll be ready to use every scrap. It's easy to get carried away with glass and plastic containers, so take an inventory before you shop and buy the ones your family needs most. Consider buying containers that can be toted to school or work the next day. Ensure all your containers include lids to reduce food spoilage. Pull older ingredients to the front of your refrigerator or pantry and load new ones in the rear. Top chefs often cite this sensible tip as one of the primary ways they reduce waste, even though the temptation after returning from the store is to do the exact opposite. “Face” your refrigerator and pantry in this way before unloading groceries; after a few repetitions, it should become a habit. Wash them, slice them, dice them and put them in those new storage containers. Vegetables are more likely to stay top-of-mind when you make this time investment. Keep a decorative bowl or tiered pedestal on the kitchen counter for apples, oranges and bananas. Fruit has a short shelf life and people are more likely to grab it when it's right in front of them. The exception: put fruit in the refrigerator – on the top shelf, front and center – to slow the aging process. After a few days, you’re likely to forget it's there – until a strange odor serves as a reminder. Keep a roll of masking tape and a black marker in a kitchen drawer and label everything you place in the refrigerator or freezer, citing the contents and the date.